The Daisy Shape Sorter is a multi-faceted kit for children to develop fine motor skills, creativity, imagination and the ability to recognize colours and shapes. The kit gives the child an opportunity to use their imagination to build and assemble different models. It consists of 14 pieces. Everything is made of high quality, washable, unbreakable plastics. The kit is suitable for children from one year old. 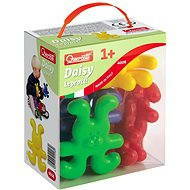 For shipping to other EU countries visit this page Daisy Shape Sorter. Für Versand nach Deutschland, besuchen Sie bitte Daisy Shape Sorter. Chcete doručit zboží do Česka? 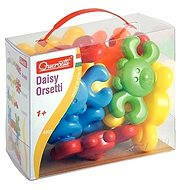 Prohlédněte si Daisy Shape Sorter . Chcete doručiť tovar na Slovensko? 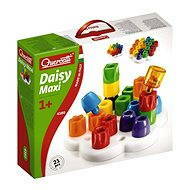 Prezrite si Daisy Shape Sorter. Für Versand nach Österreich, besuchen Sie bitte Daisy Shape Sorter. Magyarországra történő kiszállításért tekintse meg ezt a termékoldalt: Daisy Shape Sorter.